The Monaco Grand prix is the sixth round of the 2018 Formula 1 world championship. This 3.337-kilometer (2.074-mile), 19-turn circuit has hosted Formula One since 1950, and 2018 marks the 76th running of the Monaco Grand Prix. Sergio Perez holds the race lap record at Monaco (1:14.820), set last year with Force India. Kimi Raikkonen holds the qualifying lap record at Monaco (1:12.178), set last year with Scuderia Ferrari in Q3. It features many elevation changes and the tightest corners on the 21-race calendar. 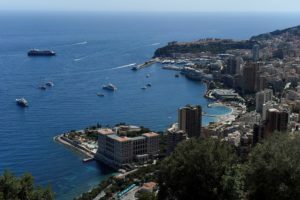 Monaco is the shortest circuit in Formula One and it is home to the sport’s slowest corner – the hairpin turn six – which drivers navigate at a pedestrian 50 kph (31 mph) while in maximum steering lock. 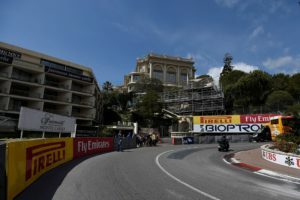 Despite being the shortest track, Monaco is the longest Formula One race in terms of time and, if hampered by wet weather, it will certainly go to its full, two-hour limit. 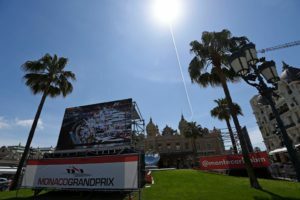 Monaco also lays claim to having the only tunnel in Formula One, which forces drivers to adjust their eyes from the glaring sun to shade every lap. 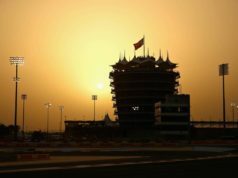 The circuit’s conditions were virtually identical to everyday, civilian use, sans the removal of people’s production cars parked on the sides of the streets. If a driver went off, he would crash into whatever was next to the track – buildings, lamp posts, windows, etc. In the cases of Alberto Ascari and Paul Hawkins, they ended up in the water. Because the concrete road the course used had no Armco barrier to protect the drivers from going off the track, each ended up in the harbour of the Mediterranean. In 1970 and 1971, Armco barrier in specific points was continually added, and by 1972, nearly the entire circuit was lined with Armco barrier. The median cloud cover ranges between 41-49 percent (partly cloudy), and the average probability of rainfall on any given day is 30 percent. Relative humidity ranges from 57 percent (mildly humid) to 90 percent (very humid), with a dewpoint varying from 7 degrees Celsius/45 degrees Fahrenheit (dry) to 16 degrees Celsius/61 degrees Fahrenheit (comfortable). The dewpoint is rarely below 3 degrees Celsius/38 degrees Fahrenheit (dry) or above 19 degrees Celsius/66 degrees Fahrenheit (muggy). Typical wind speeds vary from 3-23 kph/2-14 mph (light air to moderate breeze), rarely exceeding 40 kph/25 mph (strong breeze). Focus points With overtaking being so difficult at Monaco, track position is crucial – and not just in the race. Qualifying gets very congested, particularly in Q1 when there are 20 cars on-track. On average, there is a car every 3s around the lap, so the drivers have to work closely with their engineers to find the necessary space for a quick lap. Taken in sixth gear at 260km/h (162mph), this chicane is the fastest couple of corners on the lap. The drivers have to hit the apex kerbs hard in an effort to straighten the corner, but they risk unsettling the car and hitting the exit barrier. It’s a delicate balance of controlled aggression. Unique difficulty The Fairmont Hairpin. Not only is it the slowest corner on the entire Formula 1 calendar, taken at just 45km/h (28mph), it’s so tight that the teams have to reduce the turning circle of the cars to make it round. Braking There are 13 braking areas around the lap, which means the cars have more than 1,000 braking events during the grand prix. But only one corner – Turn 10, the Chicane – is considered a severe braking test: the cars shave off 200km/h (125mph) in just 56 metres on the downhill approach to this corner. Overall, though, the track is considered to be of medium severity for brakes. Power The cars use 1.5kg of fuel per lap, which is low. 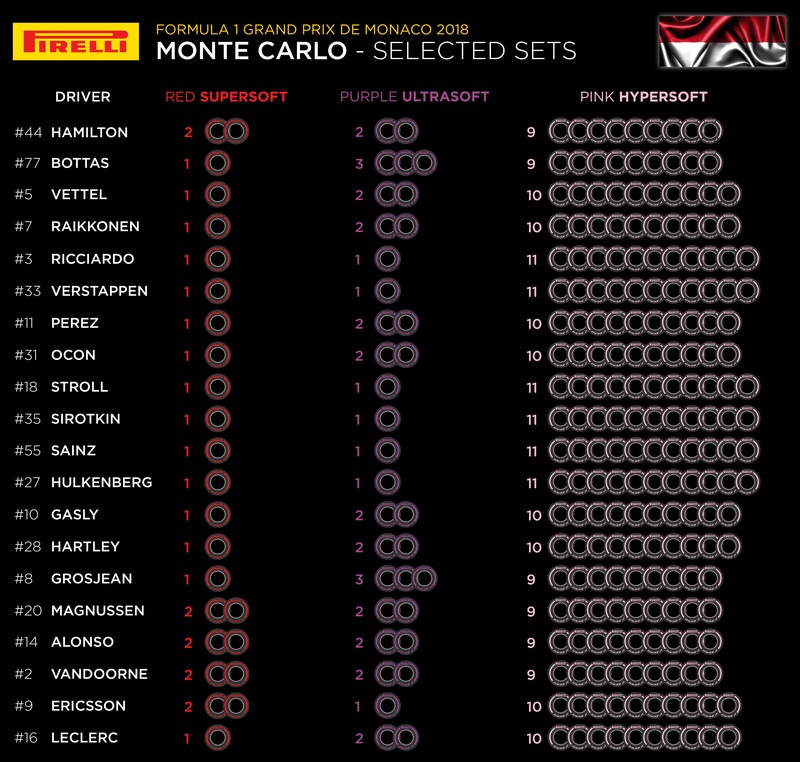 Monaco has the lowest fuel effect of the season. Aero Maximum downforce. The slow corners and short straights make aerodynamic efficiency less important than at other tracks. The cars want as much slow-speed downforce as possible. 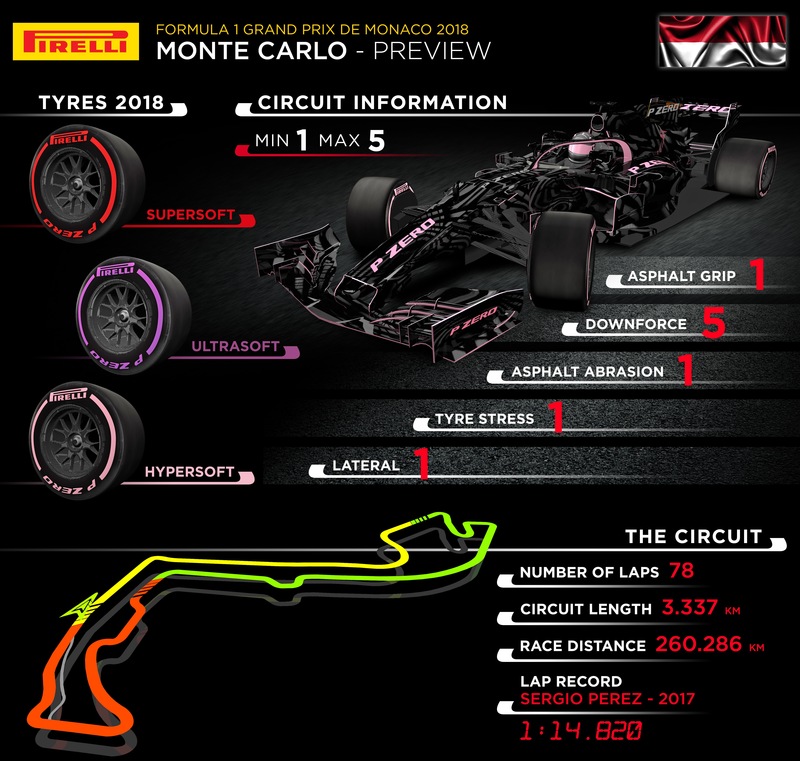 Performance is aided greatly by mechanical grip, which is why the cars run softer suspension at Monaco than anywhere else in F1.